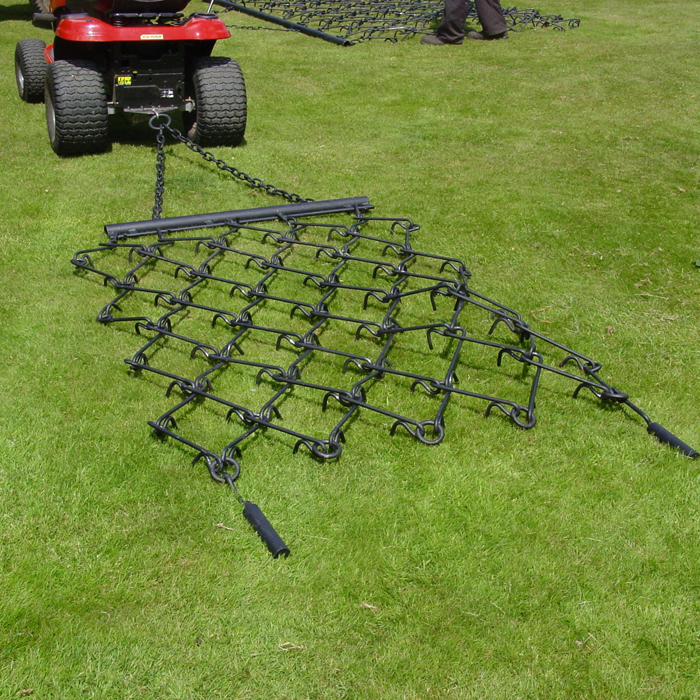 The MCH Mini Chain Harrow is suitable for work behind tractors of 15hp and above to remove dead vegetation from lawns, paddocks and large grassed areas. The harrow is suitable for seed bed preperation; both levelling and covering. They are extremely useful for the rejuvenation of horse arenas.